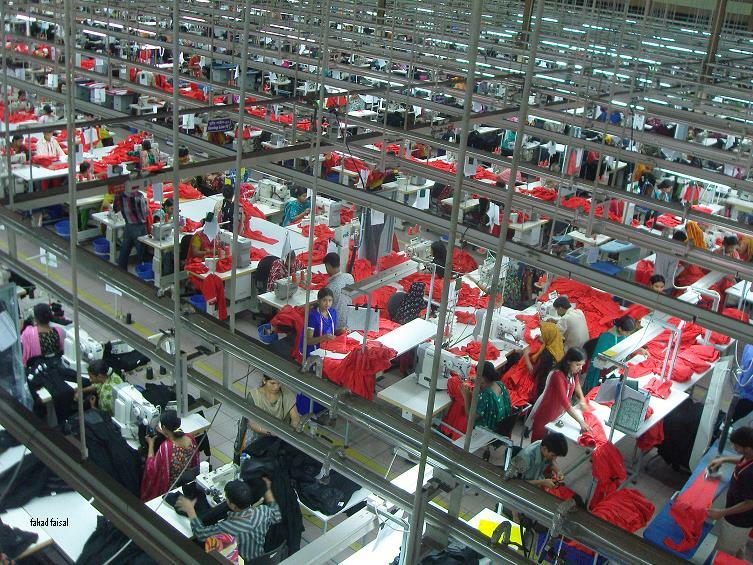 Last Friday I heard a brief exchange on The Diane Rehm Show’s Friday news roundup about the recent factory collapse/fire in Bangladesh in which at least 381 people have been confirmed killed. Susan Page of US Today stood in for Diane Rehm and interviewed, among others, James Kitfield of National Journal. You’d like to think that there would be some organized opposition to the idea that these companies subcontract out to places where they know they’re just basically sweatshops. We’ve seen that happen with Adidas and Nike. But do I think that every American who pulls a pair of cheap shoes or a shirt off the rack is somehow, you know, has a cloud of guilt over them? No. We would find it completely unacceptable. We would put the shirt down and demand changes to the system. I hope and pray to G-d we would. Yet we’re often much less responsive when the same consequences happen further away. Is it the victims’ nationality that changes everything? Skin color? Or is it just simple geography? Conversations after tragedies like the one in Bangladesh seem to go the same way every time: to what degree am I supposed to care about this? How can I show outrage or sadness without changing my shopping habits or lifestyle? We think that way because we don’t like guilt, and because we’re able to separate ourselves from the tragedy due to our distance from it. But that’s a negative way of looking at the world – to live out of guilt-avoidance and compartmentalization. It’s the act of sitting back and ignoring that ushers in guilt clouds. Doing something brings hope to other people and ourselves. Doing something can mean signing a petition or boycotting a product. It can mean supporting alternative companies. It can include praying for victims or raising awareness at your office or place of worship. It can involve reading about other people’s proposed solutions or suggesting your own. We’re talking about small steps; but over time, these simple acts of engagement start to change us, alter our shopping habits, and influence our corporations. The question is not whether we’re guilty or innocent. The question is whether we’re passive or active in how we relate with the world, and with the companies that benefit from our consumerism. This is a thought provoking essay. It reminds me that as tax payers we are presently all participants in war and the USA seems to be involved in many military excursions in 2013. When I paid my taxes this year I deducted $10.40 for peace from what I owed the government and sent it to the National Campaign for a Peace Tax Fund. That group lobbies to pass the Religious Freedom Peace Tax Fund bill (HR1191 in the 112th Congress) which Representative John Lewis introduces into each session of Congress. As it has yet to be introduced into the 113th Congress there is no number as of the end of April 2013.